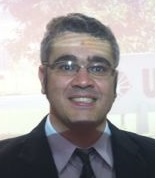 Dr. Everton Cazzo is currently working as Medical Doctor and Researcher at the State University of Campinas. Dr Cazzo completed his Masters Degree from the State University of Campinas. He then worked at the Surgery Department. Dr. Cazzo has authored several publications in various journals and books. His publications reflect his research interests in Hepatobiliopancreatic, Bariatric and Metabolic Surgery. Dr. Cazzo is a referee of Journal of Diabetes and Metabolism, OA Case Reports, and Current Diabetes Review. Dr. Cazzo is also an Associate Editor of the Journal OA Case Reports and Journal of Liver and Clinical Research. He is currently in charge of ongoing scholarly project "Postsurgical insulin sensitivity response following gastric bypass and gallbladder disease". Dr. Cazzo research focuses on Metabolic Surgery, Insulin resistance.